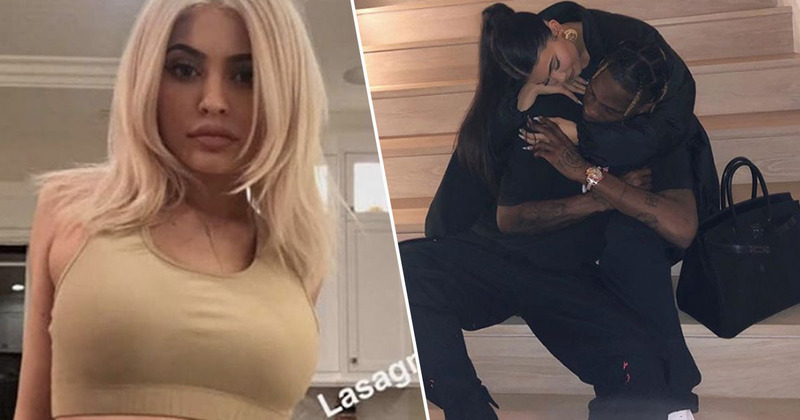 Grab your toolkits because it looks like Kylie Jenner’s gone and broken the internet with the news of ‘Baby #2’. What a tantalising question mark. Is it a baby? Has she decided to grow a beer gut? So many questions! Congrats if it is a baby. Commiserations if it’s a beer gut. What we do know is the bump is hidden by Travis Scott in the pic, if there’s a bump, and the timing of the post is a bit coincidental. Last year Kylie announced the birth of Stormi on February 4. Which was Super Bowl Sunday. Which is today! And later tonight during the halftime show at the Super Bowl Travis is going to be on stage. 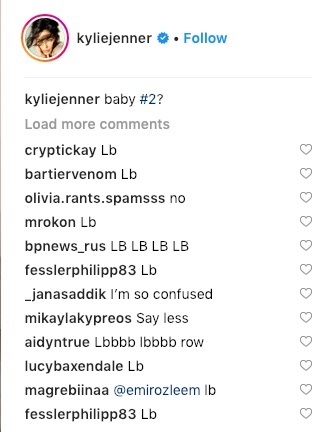 In a move that’s going to make me sound about as cool as your gran, loads of people are commenting on the pic ‘lb’, whatever that means. Pound? Are people commenting that the pair have been pounding? That’s so un-PC. Get with 2019, you filthy animals. Time to crack out the bubbly.